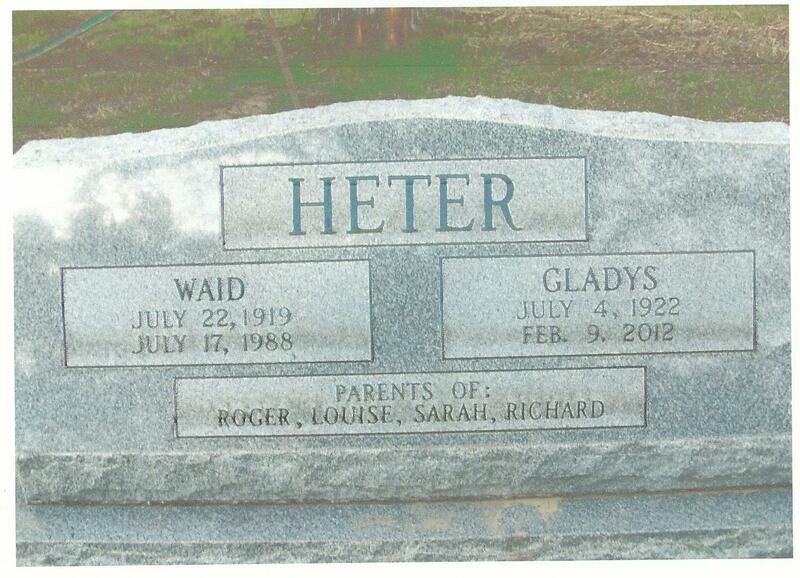 When Waid Heter Jr. was born on July 22, 1919, in Sterling, Kansas, his father, Waid, was 28 and his mother, Hazel, was 25. He married Gladys May Richardson on May 1, 1945, in Nickerson, Kansas. They had four children during their marriage. He died on July 17, 1988, in Hutchinson, Kansas, at the age of 68.